You are currently browsing the Dublin Event Guide weblog archives for April, 2011. A super month is ahead of us! Apart from the promising weather, May will be FULL of events, in Dublin, in Ireland and elsewhere and you will be kept busy by following or visiting all that is going on. It started already today with the “big” wedding in London. I know, for some it is not big at all, but for many it still comes with e certain fascination. Then closer to home, there will be the great Gospel Rising Festival in Portlaoise (www.gospelrising.com) from 06.-08 May. It is an event I will definitely be at (together with the Gardiner Street Gospel Choir and many other Gospel Choirs from all over Ireland. Then the odd spectacle of the Eurovision Song Contest (www.eurovision.tv) will raise its head again between 10-14 May and many of you will be involved in Eurovision parties. Jedward representing Ireland! Eeek! After they are back in Ireland, the British Queen will arrive for a few days (17-20 May), swiftly by Barack Obama on 23 May (and he will want you to cheer for him in Croke Park as it looks). 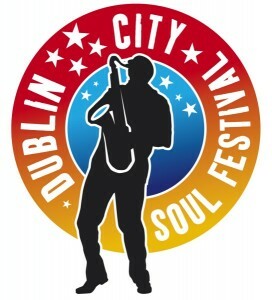 And then finally a great event for all of us again and an event where no political or emotional allegiances play a role because it is just a brilliant and wonderful event: The Dublin City Soul Festival will take place from 26-29 May with the Soul Picnic taking place in Merrion Square on 29 May. The Dublin Event Guide will support the Dublin City Soul Festival (www.dublincitysoulfestival.com/) in a big way and you will find out all the details here. It starts already today with a competition for a great gig that will be part of the Festival. Check the competition section for all details. We now are more than 4300 people on the Dublin Event Guide – Facebook Page at www.facebook.com/DublinEventGuide as well. Come over and click LIKE too. Be part of this growing online facebook community and tell your friends. You will get last minute updates and event reminders through the Facebook Page! And I know you don’t want to miss out! This is the last chance to book this event. More than 7000 people have already booked and it will definitely sell out. The National Achievers Congress in London from 02-04 July will bring three of the most inspiring achievers and speakers together on one stage. Anthony Robbins, Richard Branson and Alan Sugar will speak at this 3-day congress. The standard ticket will be GBP 297+VAT soon, but a few more tickets are available for GBP 197+VAT. You can book at successr.infusionsoft.com/go/72/ranger2285/ and you will find out more information there as well. I have booked my ticket for this event in July. Richard Branson, Anthony Robbins AND Alan Sugar at one event is worth the money, I think. This week Tom D made a donation. Every bit is appreciated! Thanks! Every donation will help to secure that you ALL will continue to receive this newsletter every week. You can contribute too and help and even if you have donated a few years back, see if you maybe can help again. This Event Guide is sponsored by Esme E, Cliodhna D, Brian L, Padraig S, Kathie S, Orla niF, Jef B, Susanna N, Kate C, Nicola J, Claus Sch, Gordon S, Jeanne M, Fiona O’C, Marta M, Angela C, Isabelle F, Saundra S, Meisoon N, Ruth F, Valerie McN, Estelle O, Aoife M, Mairin M, Fionán O’L, Maeve L, Blaithin O’D, Ciara D, Mike G, Andrej G, Deirdre R, Vanessa O’L, Chris McK, Frank B, Dolores P, Cornelia K, Cathy A, Orla C, Kevin McC, Steph G, Wanda J, Siv M-J, Niamh niS, Gwen H, Jasmin T, Ian O, Eva C, Will P, Gráinne P, Caroline R, Elizabeth F, Suzanne B, Adele G, Jack C, Keeva H, Mairead MacM, Niamh G, Siobhan C, Jackie B, Penny O’D, Kathryn K, Aidan G, Ciara G, Deirdre L, Stephen D, Mary Q, Donald P, Aidan C, Julia Sch, Isak R-B, Sharon O’S, Brajan V, Nancy O’D, Zelie McG, Niamh K, Jennie R, Semin S, Gavin H, David G, Becky B, Emer niB, Niamh N, Ciaran H, Louis M, Gerard Ph, Monika E, Mark K, James O’H, Pere SC, Marsha D, Sarah McC, Patrick O’C, Sandra R, Christoph Sch, Deirdre O’B, Ellen C, Eimear O’F, Luna B, Leslie C, Elaine McH, Elva O’G, Deirdre G, Martin O’M, Maeve C, Ciara O’C, Sarah D, Patrick C, John O’R, Brian C, Brian R, Caroline C, Elaina O’N, Eilis C, Sandra R, Geraldine D, Nora W, Rachel M, Renata V, Carine S, Ruairi O’G, Donna D, Clare D, Tuna Y, Lisa S-O’G, Aga G, Anna B, Ian S, Joan W, Brian R, Bear N, Sebastian B, Tina M, Will McA, Siobhan H, Soeren G, Sheila McC, Regina Q, Marc F, Kieran O’C, Alan S, Orla K, Mike G, David N, Atri B, Damian L, Orna McE, Colm K, Grainne+Kieran C, Paul A, Cathy A, Damien McK, Sharon O’S, Malachy B, Eily O’C, Bridin McI, George K, Fergus O’C, Caitriona F, Marie N, Sarah M, Kalle R, Mervyn M, Thomas D, Anna-Lena F, Veronica F, Filippo G, Eimear McG, Marion K, Susan D, Patricia O’N, Darren B, Jekaterina O, Fergus G, Ailbhe H, Rainey D-G, Johan S, Gareth S, Evan P, Therese O’R, Rebecca M, Eva C, Ming-jia Y, Niamh S, Nikodem R, Padraig K, Stephanie W, Sarah Ann H, Ailis F, Fiona M, Nazim MG, Maureen P, Alda G, Pia O, Pauline R, Patrick Th, Brendan McC, Deirdre C, Patricia F, Aine G, Linda M, Hans W, Joan K, Ailish L, Tammy W, Darren B, Sarah M, Sophie P, Alessia R, Fiona O’R, Pia O, Paul H, Paul M, Stephanie C, Catherine G, Linda C, Anna O’D, Karen K, Eilis C, Robin S, Olwyn F, Rainey D-G, Gordon S, Irene H, Ellen B, Joe O’D, Geraldine D, Brian L, David L, Mary K, Alison P, Mary McK, James O’C, Joe C, Alan G, Svatka V, Zelie McG, Sean S, Claudia D, Christian K, Cathy G, Barbara Q-B, Anto K, Maria F, Tom D, Orlaith niB, Pauline R, Marta T, Anna O, Stephen Q, Kiera M, Claire McM, Corina R, Sylvie S-M, Julie H-C, Rebecca T, Arthur D, Laura B, Brenda McP, Fiona D, Keeva H, Nihar B, Brendan M, Donna M, Arthur D, Selina McC, Katrin H, Gil H, Padraig P, Melina Z, Cathy A, Thomond C, Raymond R, Nicola R and Noemi V, Ciaran W, Isabel F, Brendan M , Tom D and www.stickyfingerstravel.com (The travel guide for parents travelling with their children. ), www.flamencoindalo.com (A group that supports and promotes the art of Flamenco in Ireland. ), www.olliart.com (An art curator and seller of art to businesses and private collectors. ), www.thepaulkanegallery.com (A great Art Gallery, located at 6 Merrion Square, which supports contemporary Irish artists.) and www.a1computers.ie in Dun Laoghaire/Cabinteely (…who repair computers, printers and sort out Internet problems fast and who sell computers, laptops and lo w priced printer cartridges). The main sponsor is www.kravmagaireland.com, the self-defence training centre for everyone, which provides regular 12-week or 2-day self-defence training courses for beginners. This evening and/or on Sat I plan to go to the Mindfield Festival in Merrion Square. There are a number of interesting free and many interesting non-free events. The Bray Jazz Festival is on my horizon as well, but I am not sure yet when I will be able to go, because on Sat evening I will leave Dublin for a Christy Moore concert. Should be interesting! On Sunday then, back in Dublin, my destinations are the Yelp Party in Twisted Pepper and the Mob Fandango gig in the Sugar Club. After all that busy-ness, I will take it easy on Monday and maybe do a bit of work on the Dublin Event Guide, because I have a number of big-ish plans to improve it in a variety aspects. On Wed the Swing evening is ideal for dancers, but that’s not me. Instead I will probably go to the promising UCD event that compares Talent with Deliberate Practice. Sounds very interesting! On Thursday the EYP event “Spring into 2011” and the RDS Energy Efficiency Lecture caught my eye, but EYP will probably win. After that I will write the Event Guide and because it takes me so long, I will unfortunately not be able to make it to the NCI Breakfast Meeting. I would love to go, but it will probably not happen. One of the mail events of the Dublin City Soul Festival will be the Soul Jam for the Musical Youth Foundation, a gig starring Mirenda Rosenberg (USA) & the Rare Groove Funk Orchestra. This gig will be a treat and it will take place in the Workman’s Club, 10 Wellington Quay on Sat 28 May from 20:00-23:00. I will definitely be there and hopefully some of you will make it too! Tickets are EUR 15 including all fees and you can buy them on www.entertainment.ie All proceeds go directly to the Musical Youth Foundation children’s charity, which is helping children to discover music and learn to play guitar instead of wasting their time on other pursuits. The great guys from the Dublin City Soul Festival have now made a pair of tickets available for this gig and to win you have to send a mail to dublineventguide@gmail.com with ROSENBERG in the subject line and with your name and mobile phone number in the body of the mail. There is still a bit of time to the gig, but I wanted to tell you already about the gig, so that you can get inform your friends and families and bring all of them! :-) Your competition entry has to be with me by 13:00 on 19 May. (And please only enter the competition ONCE!). One more chance: The band Sanzkrit from Monaghan will be in the Workman’s Club in Dublin on 04 May and they contacted me. Many of you would have heard them or of them before. They performed at the Electric Picnic 2008 and have lots of other impressive accolades as you can see here www.breakingtunes.com/sanzkrit For their Dublin gig in May, they decided to make two pairs of tickets available for a competition and if you want to win a pair, you have to send a mail to dublineventguide@gmail.com with SANZKRIT in the subject and with your name and mobile phone number in the body of the mail. Your mail has to be with me by 12:00 on 03 May. I had a listen to some of their songs and I really like it: www.youtube.com/watch?v=VmUct2Omud8 So, you might decide that you don’t want to rely on Lady Luck and instead just go to the gig directly. You can do that too, tickets will be available at the door (EUR 8/6), but here is something that will interest you the: The nice guys from Sanzkrit will do a draw on the night of the gig from the list of the Event Guide Readers that will be present on the night and two winners will get the Sanzkrit album as a thank you for coming. How will you make sure your name is in the hat for the album draw on the night? Just enter the ticket competition (you might even win!) and when you arrive at the Workman’s Club on the night, tell them that you heard about it from the “Dublin Event Guide (for Free Events)”. The Colour Team, a new Hair Management company in the Crescent Shopping Centre, Mulhuddart, Dublin 15 (near Blanchardstown) made three sets of free Wash & Blow Dry treatments (including Complimentary Conditioning Treatment) available for a competition to celebrate their new opening. And the winners are: Geethanjali Rajendran, Joanne Lohan and Dina Vinci. Congratulations! I will contact you in the next few days! The Colour Team in Mulhuddart can be reached on (01) 8218595 and by sending a FREETEXT “INFO” to 50015. Astronomy Ireland informs us: The Space Shuttle Endeavour is scheduled to launch today Friday 29 April at 20:47 on its last ever mission. Fifteen minutes later, just after 21:00, people all over Ireland will be able to see the Shuttle and its external fuel tank blaze through Irish skies as it makes its way into space. Seeing the Space Shuttle carry crew into orbit is a very different sight compared to seeing the International Space Station. You will be amazed at how fast and bright the Shuttle is as its on-board engines blaze brightly. Not only that, but the famous orange fuel tank can be seen falling gently back to Earth, after the Shuttle ejects it. For the last few years, the architectural event Open House Dublin allowed many people in Dublin to see and experience buildings that otherwise would have stayed locked away forever. I was in the Department of Justice and on top of Liberty Hall two years ago and last year I visited Customs House, Mansion House and Busaras and I really like the event. What helps people to find their way around is a great little book that contains pictures of all venues and some explanations and opening hours. This year the money for this book is not available anymore, so the organisers of the event are looking to get us to help with the funding. Fund it is a new all-island crowdfunding website for Ireland’s creative projects, giving everyone the power to help good ideas happen. This approach intends to raise money from many individuals and at the same time strengthens the bond between a creator and their audience. Have a look at www.fundit.ie/project/funders/open-house-dublin-book and maybe you find EUR 5 that you can spare to help with this event. All details can be found when you follow the link, but hurry, once the time is up and the money has not been raised by 100% then the project that was looking for money gets nothing! More new company introductions to come! “Wearing Purple” is a photographic exhibition by Garvan Gallagher which will be on show in the Clyne Gallery as part of the Bealtaine Festival. 05-26 May: Mon-Fri 09:00-17:30: No Grants Gallery, 12 East Essex Street, Temple Bar, Dublin 2. – Opening on Thurs 05 May at 18:00. 04 May – 12 June: National Botanic Gardens, Botanic Road, Glasnevin, Dublin 9. Celebrating the Year of Craft 2011, the National Botanic Gardens host ‘Transformations’ an exhibition by the West Cork Craft & Design Guild. They work in a wide range of craft disciplines including ceramics, knife making, woodturning, bookbinding, jewellery, textiles, and woodwork. ‘Transformations’, focuses on the design, skill and craftsmanship behind the making of the individual pieces inspired by the colour, texture and beauty of the West Cork landscape. Traces Of The Real will open at the upstairs bar in the Workmans Club on Thurs 05 May at 18:00. The opening night will include a free admission gig in the venue featuring Ireland’s leading Guided By Voices tribute act (Voided By Ponces) as well as numerous others (Squarehead, Yeh Deadlies and more) doing their own interpretations of Guided By Voices songs. The Mindfield International Festival of Ideas will take place for the first time this year and Merrion Square is the chosen location. A good few events are not free, but there are plenty of free events available as well. Individual events are EUR 10 and the whole lot is included in the festival ticket for EUR 69. The event’s mission is to “promote Ireland’s development as an international powerhouse for thought leadership by creating new ideas and innovation”. Mindfield will offer talks, debates, workshops and ideas generation spaces, sparking big thinking on everything from architecture to sport; economics to climate change, technology to politics; media to fashion. with Michel Bauwens philosopher (P2P Foundation), Benjamin Gaulon artist (Recyclism) and Darius Whelan (Creative Commons Ireland) and others. Chaired by Kevin Flanagan. + 18:00-19:30: HackerSpace – The Icelandic Modern Media Initiative: A presentation by Smari McCarthy (www.immi.is). + 14:00-15:30: Open Everything – A presentation by Michel Bauwens (Peer to Peer pioneer). + 18:15-19:45: Hack The Planet: Hackerspaces Centres of Creativity and Innovation. Featuring Rob Fitzsimons & Jeffrey Roe (TOG.ie Dublin), Cathal Garvey (Nexus Cork), Adrian Avendano (091Labs.com Galway), Sugrus Jane ni Dhulchaointigh, Barry O Donovan (theknittingclub.net Clare) and members of MILKLabs Limerick. + 20:00-21:30: Sharing Trust; Sharing Power: How the Starfish Outlives the Spider with Raffael Kemenczy. + 12:00-13:00: City Scapes make & do pop-up books with Maeve Clancy. + 13:30 Architecture Tours Ireland: Interactive, family-oriented tours of Merrion Square. + 13:30 Book Hunt – like a treasure hunt, with books for bounty. Books donated by Children’s Books Ireland. + 13:45-14:45: Theatre Lovett: Louis Lovett in performance. + 12:00-14:00: Workshop: Introduction to Arduino with Rob Fitzsimons (TOG). + 14:00-16:00: Workshop: Strategies for a Sustainable Society Hosted by Raffael Kemenczy. + 16:00-18:00: The Ideal City: How do We Make Our Cities Fit for Humans? In addition, it appears that all the pub gigs on the Festival Trail are free events and you can choose from an impressive number of 22 events. La Dolce Vita, the Italian Wine Bar and Restaurant in Cow’s Lane, Old City, Temple Bar is inviting to weekly Live Jazz every Friday from 21:00-23:30. There will be no cover charge and tables can be booked on 01 7079786. www.ladolcevita.ie The band line up for the Jazz evenings is: 29 Apr: Petra Odlozilikova. The Inland Waterways Association of Ireland is reporting about a very unusual and interesting event: Between 30 Apr and 21 May, 34 boats will make the trip to Dublin from the Erne, the Shannon, the Barrow, the Royal and the Grand Canal in the Dublin Rally 2011. The events start this week in Blanchardstown, Phibsborough, Croke Park, Spencer Dock and Grand Canal Dock and if you are interested in the canals and boars, then check all the details here: dublin.iwai.ie/dub_rally11.html I still am not 100% sure what is happening and I am wondering how the dredging work on the Grand Canal, that still doesn’t seem to be finished will interfere with all this. But, hey, it is certainly an unusual and unique Rally! An in-store event with “And So I Watch You From Afar” is taking place. Sat 30 Apr: 15:00 – Astronomy Ireland, Unit 75 (up the stairs at Unit 25), Butterly Business Park, Kilmore Road, Artane, Dublin 5. From Sun 01 – Tues 31 May the Bealtaine Festival 2011 will take place. This national arts festival celebrates creativity in the older age and hundreds of events are taking place across the country. (Bealtaine is the name of the Celtic festival celebrating springtime.) In previous years it was suggested that the festival was for 55+, this year the organisers only say “in the older age”, but when you check the Festival’s umbrella organisation “Age & Opportunity”, you will find out, that they see the lower limit at 50 years of age. The Festival embraces all art forms and encourages participation in the Arts by older people as artists, performers, event organisers and audience. From dance to cinema, painting to theatre, Bealtaine showcases the talents and creativity of both first-time and professional older artists. The weekly Children’s Art Cart Workshops is taking place every Sun. Up to 15 children (5yrs+) can participate but they must be supervised by an adult. The next workshops are 01 May: Go on a Spring treasure hunt and identify & draw your finds! Sun 01 May: 11:30 – Meeting Point: Parnell Square. Sun 01 May: 14:00-17:00 – Exchange Dublin, Upper Exchange Street, Temple Bar, Dublin 2. “An open collective meeting will be held this Sun to discuss and plan a new season of free public lectures. Anyone and everyone is welcome to come and take part, whether you have an idea for a lecture, a venue or a way to connect to more people. Knowledge is an open collective group that aims to bring education and learning to everyone. Our public spaces, parks, streets corners – in fact anywhere we can gather – should be places where we share everything we know with each other. To help breakthrough obstacles and to bring open learning to everyone, Knowledge will run seasons of free public lectures. These short courses will be presented by volunteers with a background in and a passion for the given area. For the second season we’re hoping to expand the repertoire of Knowledge with more lectures/talks/workshops/rambling interactions and spread it across more of Dublin city. To achieve this we’re hoping to run pop-hedge schools, outdoor talks around the city centre, walking lectures as well as picnics and dinners. The Dublin Sketchers Group is an informal group of typically hobby artists who go somewhere different in Dublin every Sunday (e.g. Collins Barracks, Farmleigh, Botanic Gardens, Dublin Castle), sketch for an hour or so, and then meet up for coffee afterwards and discuss their sketches. www.dublinsketchers.blogspot.com/ Find out on their website where they will meet and join them if you do some sketching/drawing yourself. Sun 01 May: 14:30 – National Botanic Gardens, Botanic Road, Glasnevin, Dublin 9. A Guided Walk entitled “Blossoms from China” is taking place in the National Botanic Gardens. Many of our common garden plants are Chinese in origin. May is the best time to see Paeonies, the Handkerchief Tree, Wisteria and many other flowering plants in full bloom. Come and see the Chinese plants at their best. Sun 01 May: 15:00-15:45 – National Gallery, Merrion Square West, Dublin 2. Sun 01 May: 16:00-18:00 – Twisted Pepper, Middle Abbey Street. www.yelp.ie/events/dublin-yelps-secret-party or you can save your spot by e-mailing dublin@yelp.ie. Per person up to 4 tickets can be requested. GoCar, the car-sharing initiative, will also collect and drop people to the venue from posts in Ranelagh and Smithfield and if you want to avail of this mail dublin@yelp.ie for more info. Featured sponsors are Manilla Café, Burrito & Blues, Corner Bakery, Hanley’s Cornish Pasties, Di Fontaine Pizza, Café Azetca, Cornucopia, Cooley Distillery Whiskey, Trouble Brewing, Metalman, Barefoot wines, Eliane Kennedy Eye Make up, Cabaret from Rose Lawless and Career Coach Greg Fry. Sun 01 May: 20:00-02:00 – The Sugar Club, 8 Lwr. Leeson Street, Dublin 2. The first Monday is in Ireland a bank holiday. Unlike in other countries, Ireland doesn’t celebrate the 01 May (Labour Day) as a bank holiday, instead we get the first Monday off. Most shops, restaurants etc are open, so in the end the bank holiday is only for office workers. If you want to park in the City Centre, you can do so in Pay&Display areas without having to pay. However, bus lanes, loading bays, Taxi Stands and disabled parking spaces are to be adhered to as on any weekday. Often regular events don’t take place on a Bank Holiday Monday, so check it out before you look forward to go to a specific event. The Royal Danish Embassy in Dublin is inviting to a lunchtime concert with the Copenhagen Chamber Ensemble at St. Patrick’s Cathedral, Dublin on Tues 03 May at 13:00-14:00. The music will be European baroque music with composers like Vivaldi, Telemann, Händel and Bach. The concert in St. Patrick’s will be the ensemble’s first performance in Ireland, and it is arranged in cooperation with The Danish Embassy in Ireland and The Danish Cultural Institute in Edinburgh. I am told the concert will be free. Tues 03 May: 18:00 – Instituto Cervantes, Lincoln House, Lincoln Place, Dublin 2. The IFI invites to free screenings of films from the IFI Irish Film Archive. Simply collect your free tickets at the IFI Box Office when you get there. (You might have to pay a 1 Euro membership for the day.) The film on Wed is “A Second Of June” (1984, 40min) The visit of President Ronald Reagan was greeted with much less enthusiasm than the visit of John F Kennedy in 1963. This delicately told tale follows two young people on their Ulyssean wanderings through Dublin on the day of his visit, capturing the clamour of the anti-Reagan protesters and providing a finely textured picture of Dublin street life in the early ‘80s. 04 May: 13:00-14:00 – Neill / Hoey Lecture Theatre, Trinity Long Room Hub, TCD. Wed 04 May: 15:00 – National Botanic Gardens, Botanic Road, Glasnevin, Dublin 9. Wed 04 May: 18:00 – Instituto Cervantes, Lincoln Place, Dublin 2, quite near the National Gallery. – The Spanish Cultural Institute, Instituto Cervantes, is inviting to the first session of “The short film on the map”, four productions from the Basque Country will be screened: Asämara, Self-portrait, On the Line, Lent Time (in Spanish with English subtitles). The Dublin Swing (Dancing) scene is active and BIG and if you haven’t been involved yet, you might have no clue. There are club nights, courses and get togethers in a whole variety of locations and now a new one is being added. Each month the classes will have a different theme. For May, the 19:15-20:15 class will be Intermediate Lindy Hop and then there will be Beginners Swing (Lindy Hop) from 20:15-21:15. If you’ve never learnt to dance before, or if you want to fine tune the basics, then the 20:15 class is the place for you. See Change is a partnership of organisations working to change minds about mental health problems and they will run “Make a Ripple”. An in-store event with the “Bipolar Empire” is taking place. 05-07 May: KTcontemporary, Donnybrook, Dublin 4. Josephine Maguire, the Programme Manager of the newly introduced National Retrofit Programme and Joe Durkan, a mechanical engineer and a qualified building energy rating (BER) assessor will talk about “Energy Efficiency in the House” in this lecture of the RDS Energy Lecture Series. The average house consumes about 14,000 units of gas per year or 2,000 litres of oil; through energy efficiency and simple insulation measures this figure can be reduce by 50%. In 2010 alone, over 70,000 homes were upgraded through the retrofit programme, which in turn has helped support more than 5,000 Irish jobs. To date the Government has provided incentives of €70m which will result in energy savings worth €250m over the lifetime of the retrofitted houses. Thurs 05 May: 19:30 – Hughes & Hughes Dundrum. Fri 06 May: 07:00-08:45 – National College of Ireland, Mayor Street, Dublin 1.
Business executives are invited to start their day with a new event series “Corn Flakes & Commerce” from National College of Ireland, in association with Metro Herald and Kellogg’s Ireland. The free events offer the chance to gain insight on the latest thinking while mixing and mingling with other professionals from all walks of business life. The series features outstanding, innovative speakers on a range of thought-provoking topics in the areas of management, marketing and human resource management. The conference “Contemporary German-Irish cultural relations in a European perspective: Exploring issues in cultural policy and practice” will take place in the Goethe Institut on Fri+Sat. Admission is free, but you have to register with Heidrun Rottke, rottke@dublin.goethe.org (01 6611155). Together with TASC, Smart Taxes will be hosting the conference “Lessons from the Crisis: Money, Taxes and Saving in a Changing World”. The euro area crisis rumbles on, but the austerity measures favoured have been unable to stabilise and revitalise economies, while the looming threats of resource peak and climate change are ignored. A new approach is clearly needed at national and European levels. Lessons from the Crisis will showcase alternative economic policies that aim to recover economic control, halt the loss of jobs and emigration and create a secure future for young and old in Ireland. Three leading US-based exponents of the Modern Money Theory school will share their perspective on routes out of the crisis. There will also be a session devoted to pension security, and another exploring the possibilities of a new fiscal framework for Ireland. Attendance is free, lunch is included. The count for the Seanad election started earlier in the week and this morning 42 of the 60 seats were filled. In this context it makes sense to have a look how this political control instance is elected and to see what power it has. In many countries there is a control instance that will be able to stop, re-direct, question or disturb the total power of a parliament and therefore of the majority in that parliament. In Ireland this control instance is the Seanad. But how come then that the Taoiseach is allowed to nominate 11 out of the 60 seats. These 11 will definitely not “control” him. And looking at the democratic aspect of the election: Does it make sense that most of you were not eligible to vote, but the University graduates of 3 Dublin Universities and 3 NUI institutions are allowed to determine 10% (6) of the seats? Why are the non-university graduates OR graduates from other 3rd level institutions than the 6 not worthy enough? And look at this: 134,000 university graduates are allowed to elect 6 candidates, but on the “vocational panels” there are only 1094 people who elect 43 candidates. There are oddnesses where every you look! Many (me included) hope that this is the very last Seanad election and that this odd, probably undemocratic and quite powerless institution (they can only delay laws), will be abolished and replaced with a more suitable control mechanism. It is not yet Summer (don’t let anybody tell you it is unless the 21 June has passed! ;-) ), but enjoy the wonderful weather and the longer evenings and all the events that are happening.